This is the Dolores Cannon method of QHHT also know as Quantum Healing Hypnosis Technique. 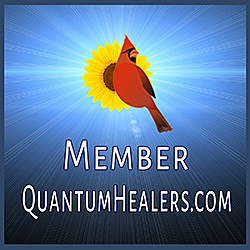 QHHT is a quantum science body-mind-spirit modality which is dedicated to offering one of a kind life transformational and healing opportunities to the client. To discover and receive dynamic and profound transformation generally only requires a one off session that can last anywhere between 3 - 6 hours. The success of your session only requires your own god giving free will to make the choice to have one and be open and willing to embrace what unfolds for your highest and best good, healing and freedom. The actual quantum hypnosis part of the session has been compared by clients to something like a guided meditation journey. However in actuality it is much more than this. "You can't solve a problem from the same level of thinking that created the problem" Albert Einstein. These session offer a easy opportunity to go beyond what has created the life problems, confusion and overwhelms. A Qhht session shines the light on ones own inner awareness from which to access a broader view of the bigger picture taking place and the pathway for resolution, including the 'how to' of moving in the direction of ones preferred wanting, wishes and desires.
" QHHT (SM) is a powerful, safe, and effective method of hypnosis that focuses on obtaining unlimited information from the Subconscious (Higher Self). The Subconscious (SC) can identify and explain the cause behind any problem. If the SC agrees it is appropriate, healing is immediate, without discomfort, medication or surgery. In all cases, before healing can happen, an individual must want to heal themselves." Time goes by fast in these session, in actuality these session are really happening out of the linear time space continuum as we know it in daily 3d life and into the quantum multidimensional field of the souls journey which is connected to infinite intelligence and always guided through divine love, light and protection. Pictured to the left is Mary Jo at her level 1 QHHT Training with Dolores Cannon in Sydney 2013'. Mary Jo took her level 2 training in the U.S.A. with Dolores Cannon in 2014 just 2 months before Dolores made her transition (RIP Oct 2014) . Sessions take place at Vibrant Living Retreat in Hanmer Springs, New Zealand. Links to Mary Jo's dedicated QHHT website - Radiant Essence.co.nz or continued to scroll down for more info on this webpage. For testimonials from previous clients click HERE . To understand what exactly QHHT is click HERE . booking a QHHT sessions with Mary Jo is non refundable once the session has commenced. Scroll down to watch Mary jo's video explaining more on what a QHHT session is and what happens during a QHHT session. Scroll down to watch video testimonials from Mary Jo's previous clients over the years. Video where Mary Jo is explaining with some analogies what QHHT and how it works. Quote by Dolores Cannon of QHHT to capture the essence of these times we are living through on earth. Book a longer Quantum Wellness Retreat with us at Vibrant Living Retreat which is inclusive of your 4-6 hr QHHT session. Once you decide to book in your session: You will be asked to come ready with your list of questions and list of your issues that require healing and please NOTE that NO question is off limits ! In the quantum field of intelligence that is accessed by transitioning the different brain wave states of a clients consciousness as taught by the Dolores Cannon Method of Hypnosis ( to be noted as unlike other hypnosis techniques out there ) your burning questions will be answered and the clarity and solution revealed to you in just one session. Long standing issues in your present life and potentially patterns running through out many life times can be healed and the karmic patterns brought into a resolute balance in just one session, awareness, understanding and forgiveness are usually elements required. Re-listening to your recorded session again and again in the days, weeks and months that follow is a must for the continued integration of the healing's, new patterns, acceptance and transformations to continue and get established. Our human conscious mind can only integrate so much at one time, then when those bits of information and experiences is integrated, deeper levels can be received for further integration levels and so on goes the process, merging and melding of ones expanded-self awareness and conscious every day self awareness until the gap is bridged and veil of perceived separation dissolved. How this is done is by the shining of the light of the subconscious, soul conscious, higher self awareness to reveal deep and profound understandings and truths to you, in essence revealed to you, by you. The understandings, insights and revelations that occur through a session is obtained with the help of your most valued and urgent questions being asked by your facilitator and answered by your subconscious ~ higher self. Please remember that the healing that takes place is done through your higher expanded self and the therapist is just supporting this unfoldment by asking the right questions at the right time and making sure all the puzzle pieces (your questions & aliments) of your life story come together to reveal to you the larger over all picture and greater purpose / wisdom as the soulful messengers they really are. All session are recorded and it is highly recommended that you listen to it again and again to enhance the integration of all the wisdom, insights, healing and revelation that the bigger expanded you has revealed to the human ego-ic you through out your QHHT session with Mary Jo. Recording can be recorded onto your own smart phone or recording device. Mary Jo will also record the session and can sent this via email to you within 24-48 hr post session or via USB stick. If you record on your own device that means you have your recording straight away to listen to. A Quantum Healing Hypnosis session are really to give you the opportunity to attune to your higher or expanded self awareness that has all your answers, because it is you and knows you deeply and infinitely. It knows your souls~source journey and why you are here now on earth. It knows your challenges, your triumphs and your deepest secrets; it knows how to move you forward in the direction you truly want and desire for your life. It has the clarity and answers to any questions you may have that is not easily accessible to the busy and often times doubtful loud voices of the conscious egoic mind, which is purposefully but narrowly focused into every day life and has the strong tendency to be in survival mode which has a tendency to practice fear, struggles, unworthiness, duality, inner - outer conflicts and control systems to micro manage ones reality to try and stay safe and comfortable. Which in essence leads to pushing against the stream of life's intelligent nature rather than going with it. This can be created by limiting beliefs and attitudes picked up in childhood often and then practices through out ones life. QHHT Session are taken in Person with Mary Jo (Mj) at Vibrant Living Retreat & Day Spa in Hanmer Springs village. Your session is completely confidential unless you give your permission for any insightful elements to be shared that may be helpful for others and there life journey or that has a more generally message for humanity over these years of earths transition, transformations and ascension. To confirm your booking appointment a $222 deposit is required and the remainder can be paid on the day. This deposit is refundable up to 48hrs prior to the commencement of your session day and time. ​The full amount of your session becomes non-refundable once the session is commenced. WHAT IF I AM FINANCIALLY CHALLENGED & REALLY WANT TO BOOK A SESSION ? Option A: We can set up a payment plan for you to pay weekly or monthly into Bank Account no. Option B: If you are having financial challenges at the moment a discounted QHHT session of $444 can be arranged by emailing Mary Jo HERE and explaining why you require a discounted session and cannot afford to pay the full price. Once your abundance vibrations turns around for you post healing this area of your life within the session and choosing to integrate it with listening to your recording and making the guided changes advised you are welcome to pay the additional $111 discounted from your over all session price. This is optional. *** Here is a webpage with tips on HOW TO PREPARE for your session from a fellow QHHT practitioner. Please keep in mind I have lots of people that have had successful session with out reading the information from this webpage on HOW TO PREPARE. Just take what seems helpful and leave the rest. The most important aspect is your willingness and readiness to be healed and free of your struggles etc to be willing to make what ever changes in your life is required to move forward on your path of purpose, happiness, connection and abundance. Book a Quantum Wellness Retreat with us 2 - 5 days +. Or You can book onto a Quantum Wellness Retreat package inclusive of your chosen accommodation, healthy high vibe organic meals, 5 hr Qhht session & recording, daily Yoga, Wellness Tools, Massages etc. See my profile as MARY HALLIGAN on the Quantum Healers.com worldwide practitioners website HERE See more reviews on here from my previous QHHT clients.